Merging together the antique and exotic charms of ancient India with the modern and contemporary climate of today’s India, Vivanta by Taj Malabar, Kochi is one of the best places to stay in whole of Kerala backwaters. 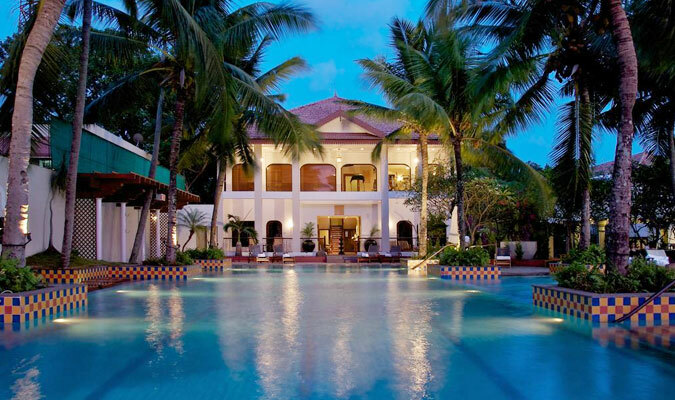 Situated on Willingdon Island, the five-star hotel offers a magnanimous view of exotic Cochin harbor. Picturesque sceneries; Appetizing food; Well furnished and groomed interiors; remarkable hospitality; everything in this hotel provide the guests with an unforgettable experience and they will learn the true meaning of international leisure with a stay in this hotel. 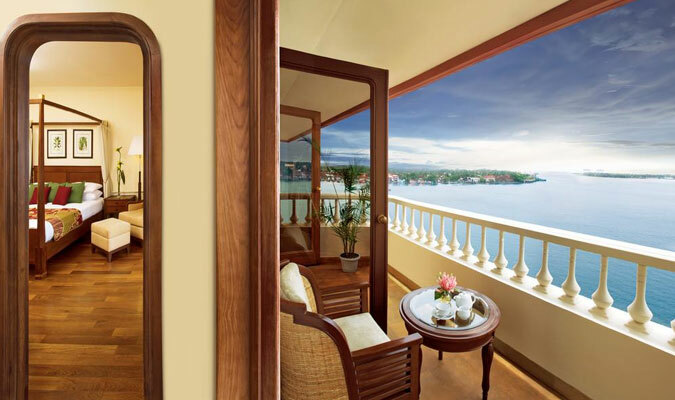 The guests will feel themselves at home with a stay in any of the 96 rooms in Vivanta by Taj Malabar Hotel. 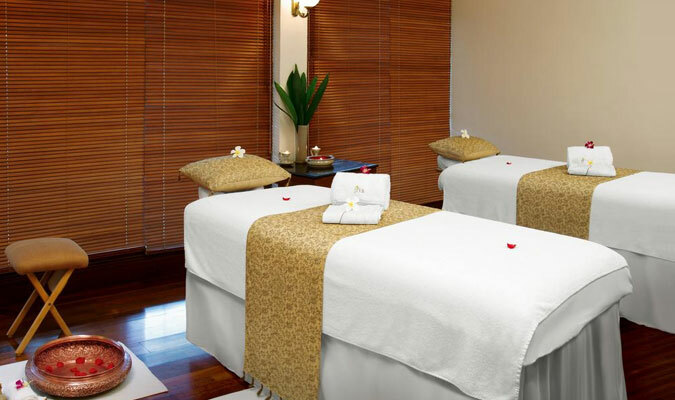 The well furnished rooms installed with all modern facilities will provide an elated and comfortable stay to the guests. The rooms are divided in different sections to suit the needs of the people. 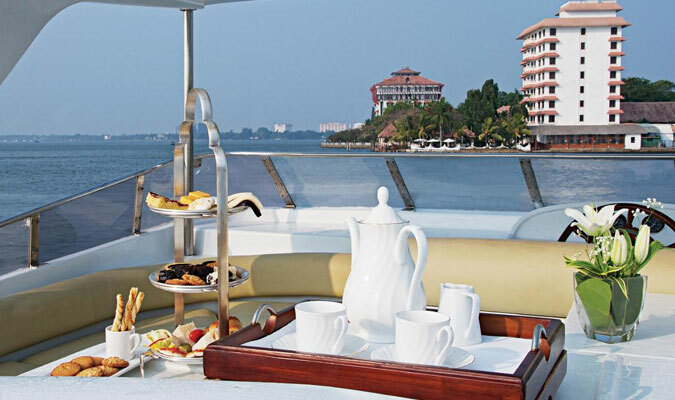 Superior Charm: The rooms provide an outstanding view of Cochin harbor and will engage each and every guest in the nature’s beauty in an instant. The specially designed Euro-Indian interiors in these rooms along with all modern amenities make them a haven of aesthetics and comfort. Superior Charm - Sea View: Superior Charm- Sea View rooms are the best places to stay in if one wishes to convert his/her business trip into a pleasurable one. The business travelers can check in the room with style in these amazingly stylish rooms and revel in the stunning views of Kerala backwaters. With well stocked mini bar and surround sound televisions, the stay in here will elate one and all. Premium Indulgence - Sunset View: In Premium Indulgence- Sunset View rooms, the guests get that little extra that they always craved for in a hotel room! Spectacularly designed interiors, amazing view of the sunset outside, and all modern facilities make these rooms simple a heaven. Superior Charm Heritage: With a stay in Superior harm Heritage Rooms the guests are transported back to the golden era of India. Simultaneously they are introduced with an array of modern facilities, which will make them feel like traveling back to the future! Superior Charm Heritage - Sea View: Superior Charm Heritage- Sea View rooms provide an exotic experience of Indian heritage along with an outstanding view of Kerala waters and the island beyond. Deluxe Allure Suite: The Deluxe Allure Suites are an epitome of unadulterated luxury, lavish stylishness, warm hospitality and complete modernity. The classy interiors in separate living rooms and bedrooms, installed with numerous modern facilities and services, make a stay in these rooms everything you ever wished to do. Premium Temptation Suite: The Premium Temptation Suite consist of a separate bedroom, a separate living room, a lavish king size bed, a well equipped study area, a clean dressing room and spacious and neat bathrooms, all designed in elegant graceful Victorians architectural patterns. For experiencing a personal, secluded luxurious stay, chose to stay in these rooms. The guests will enjoy the amazing culinary experience offered by the 5 Star -Hotel. 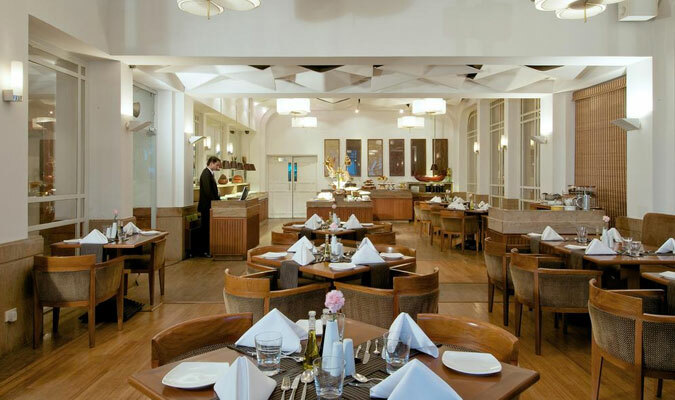 The guest can head towards the fine dining restaurants for an elegant lunch or dinner experience. Or you can simply relax in your room and order the delicious food over there. The guest have unlimited access to the 24 hour open coffee shop in the hotel. For lifting up the spirits, they can head to the well stocked pool bar. The Pepper: The Pepper is am multi-cuisine restaurant specializing in Kerala, North Indian, Mediterranean, and Italian cuisines. The Rice Boat: For having the top quality sea food and authentic Kerala cuisines, the guests can head to "Kettuvalam" Rice Boat. The Thai Pavilion: For the guests who wish to feast on delicious Chinese and Thai delicacies, this is the place to go. Dolphins Point: For experiencing the mouthwatering grill and barbeque style cooked food, head towards Dolphin’s Point. Mattancherry Bar:Lift your spirits at the exotic Mattancherry Bar by having well assorted collection of alcoholic and non alcoholic beverages along with delicious snacks.